If you’ve stopped in or called our Chautauqua or Ellicottville offices during the 2015 season, you might have been greeted by some new faces/voices! We were happy to welcome three new Reservationists to our Vacation Rental Management team this year. Posted on November 30, 2015 Author ERA Team VPCategories Chautauqua Institution, Ellicottville, Vacation RentalLeave a comment on Meet Our New Reservationists! Choose a Locally Sourced Thanksgiving Dinner This Year! Skip the chain grocery stores for this year’s Thanksgiving feast and instead choose to support your local farmers! Why should you buy and eat local foods? Locally grown foods have higher nutrient values, promote a safer food supply and are full of flavor. Buying from your neighborhood producers also supports your area’s economy and preserves the environment. Abers Acres is a family enterprise established in 1984 and managed by the Abers family. If you are looking for a place to purchase fresh and delicious, home grown and local grown fruit and vegetables Abers Acres is the place for you! With over 100 acres of prime agricultural land producing USDA Certified Organic produce, this is the one stop shop for all of your side-dish needs this Thanksgiving. Although their farm markets are closed for the season, their produce and products are available in the Sales Room year round. Located in their home, next to the main farm market, Abers Acres offers fresh grown lettuce, kale, strawberries, winter squash, sweet potatoes and popcorn, as well as frozen berries from this year’s crops! Avid Farms: AvidFarms.com Specializing in pasture-raised, all natural chicken and turkey, this Sheridan, NY farm focuses on good environmental stewardship. Although it is too late to reserve a whole turkey for this year’s Thanksgiving, they do have split breasts, legs, wings and neck/back in stock! Plan early for next year’s feast and reserve an ethically-raised, chemical free turkey from this environmentally conscious farm today! They also have fresh baked goods, 100% whole wheat bread, and other seasonal produce on sale at the Fredonia Farmer’s Market. Green Heron Growers: GreenHeronGrowers.com Owned and operated by Steve & Julie Rockcastle, this certified organic farm offers 100% grass fed beef cuts, certified organic fresh shiitake mushrooms, chicken whole and in parts, scallions, celery, peppers, Shiitake barley soup, shiitake hazelnut pate, mushroom medicinal tinctures, lard & tallow, and tart cherry juice. Roo Haven Farm: RooHavenFarm.com A small, family-owned farm specializing in pasture-raised birds that forage on 10-acres of pasture grasses! At the market they offer organic turkey and chicken in whole and split half sizes; certified organic Berkshire pork (Canadian, Cottage and slab bacon, pork chops, shoulder roasts, breakfast sausage, mild Italian sausage, Chorizo, pork fat, pork bones, ham steaks and ribs); Certified Organic eggs, and gourmet granola made with organic ingredients. They also feature raw milk cheese from Milky Way Meadows, yogurt from Lapp Dairy, and tart cherry juice from Singer Farm Naturals. Toboggan Hill Farm: TobogganHillFarm.com Owned by Mike and Donna Eisenstat, the Tobaggan Hill Farm will have eggs, potatoes, lettuce and greens, and pork products (ham, Canadian bacon, roasts, ribs) all available for purchase. After November 24th: Open every other Tuesday from 2 pm – 6 pm. 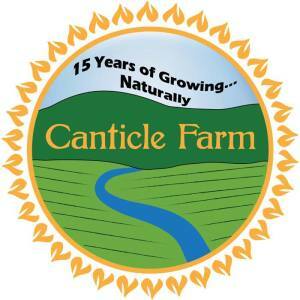 There’s a lot more to Canticle Farm Market than Certified Naturally Grown produce! Founded in 2001 by the Franciscan Sisters of Allegany, this non-profit “Community Supported Agriculture” Farm seeks to provide healthy, local food and to foster a stronger, more vibrant community as well as a greater respect for all creation. During the winter months, stop down to the Canticle Farm Market to pick up locally sourced vegetables including hot peppers, potatoes, beets, radishes, leeks, lettuce, spinach, cabbage, garlic, onions, winter squash and more! They are also joined by over 10 other local vendors throughout the winter months, so you never know what else you can find at this certified organic shop for this year’s Holiday spread! There is no place in the Northeast to purchase the cheese for your hors d’oeuvres this Thanksgiving other than the locally produced Cuba Cheese Shoppe! Nestled in the farmlands of southwestern New York where cheese has been a principle product since the late 1800’s, Cuba was once recognized as the “cheese center of the world”. One of the main goals of the Cuba Cheese Shoppe is and always has been to promote the wonderful New York State Cheddar cheeses that originated in 1887 at the Ackerly and Sills Plant. According to the Shoppe, “the demand for New York State cheese has been and is due in large measure to its characteristically unique flavor, a certain sharpness. This distinctiveness is attributed to the soil and water peculiar to this area near the Great Lakes. Because of the fodder and the water that the cows get here, they give milk that makes cheese with a distinctive sharp flavor.” In order to feature locally produced Cuba cheese on your table, choose either mozzarella or provolone, or if you’d prefer the Great Lakes regional cheese try the cheddar or cheese curd. Visit the Shoppe to select from other locally sourced products from around the area including honey, chocolate, sauces, Amish goods, jellies and jams, mustards, BBQ sauces, and more! Don’t miss out on one of the last chances to get a locally sourced turkey for this year’s Thanksgiving meal! 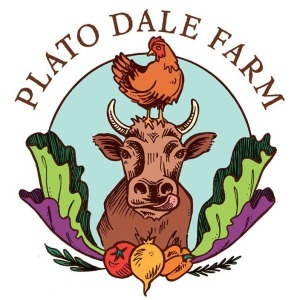 Plato Dale Farm is a small family farm that raises 100% grassfed beef, pasture raised chickens and turkeys that are fed certified organic grains and they manage fruits and vegetables to organic standards. Visit them at the Elmwood-Bidwell Market this Saturday (November 21st, 2015) from 9am-1pm to claim one of their naturally raised turkeys! They will also be attending the Buffalo State College Indoor Winter Market throughout the month of December if you choose to feature locally sourced foods during the Christmas holiday as well! (Buckham Hall, A-Wing, December 5th, 12th and 19th). Besides birds, they will also be stocked up on vegetables including 9 varieties of winter squash, potatoes, carrots, sweet and storage onions, sweet potatoes, red green and savoy cabbage, cauliflower, brussel sprouts, arugula, cutting celery, parsley and more! Jack Bell’s Meat & Poultry Market has been in business for over 42 years, offering a quality selection of fresh and tasty produce, meats and sausages that change daily, cheeses, spices, Swedish specialty items, baked goods, and more! Time is almost up on this Thanksgiving’s Turkey order deadline! Give them a call at 814-837-7321 by this Wednesday (November 18th, 2015) in order to reserve your bird for this year! Make sure to check out the whole aisle of Jack Bell Meat’s Spices and Rubs that will bring out the flavor in each and every dish on your table this Thanksgiving. When you are planning for this holiday’s gathering, Jack Bell is sure to have exactly what you need! 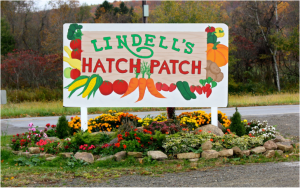 Lindell’s Hatch Patch is a family owned business located in Northwestern Pennsylvania offering strawberries, sweet corn, cucumbers, zucchini, yellow squash, beans, tomatoes, potatoes, pumpkins, winter squash and more grown right from the fields of their farm! Stop by in late November to mid-December to pick up a fresh cut Christmas tree or wreath to decorate for the Holidays! In addition to the variety of items mentioned above, they also sell fresh produce, pork and beef products, jellies, relishes, and their very own, locally sourced and produced Lindell’s Pure Maple Syrup! Instead of fighting the lines this holiday, choose to reinvest in your community and add a locally sourced dish (or whole meal) to your table this Thanksgiving! Posted on November 16, 2015 February 16, 2017 Author ERA Team VPCategories UncategorizedLeave a comment on Choose a Locally Sourced Thanksgiving Dinner This Year! Denise Whipp is the branch leader for ERA Team VP Real Estate’s Pennsylvania offices located in Warren and Bradford Pa. She has been a licensed real estate agent since 1997. She has since earned her Associate Real Estate Broker’s licenses in both PA and NY. She is currently President-elect of the Warren County Board of Realtors. She lives her in her hometown of Warren, Pa and is active in the community. She is an active member of First Lutheran Church where she plays in their bell choir. 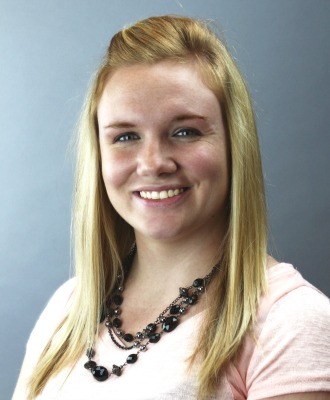 She also serves on the board of the United Fund of Warren County. She has been married to Joe Whipp for 25 years (who is also a real estate agent with ERA Team VP) and has two daughters and the most adorable grandson on the planet! Her favorite thing to do is to hang out with family and friends at her cottage on the Allegheny River. 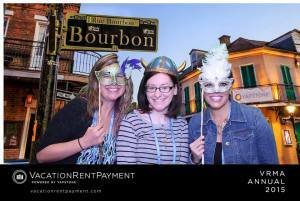 Reviews are in and the Vacation Rental Management Association’s (VRMA) 2015 Annual Conference was a hit! With over 1,300 attendees, this year’s event, held October 25-28 at the Hilton New Orleans Riverside in New Orleans, Louisiana, marked another success for the vacation rental industry. The staff at ERA Team VP Vacation Rentals enjoyed networking with colleagues and business partners, discussing both opportunities and challenges facing vacation rental managers. The theme of “Celebrating the past. Looking to the future,” was integrated over three general sessions featuring noted speakers including Rory Vaden, cofounder of the multi-million dollar international training company Southwestern Consulting; Retired Lt. General Russel L. Honoré, Commander of Joint Task Force Katrina and Global Preparedness Authority; and Kristen Ulmer, voted by the outdoor industry as the most fearless woman athlete in North American. For more information on ERA Team VP Real Estate and Vacation Rentals, please contact the Ellicottville office at (716) 699-4800. or the Chautauqua Office at (716) 789-2600. 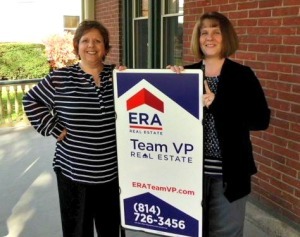 ERA Team VP Real Estate recently announced the addition of Jean Gorton and Lisa Burkhouse to its team of real estate sales professionals serving consumers in the Warren County area. Lisa Burkhouse joins ERA Team VP with an extensive background in office administration and client services related industries. Raised in beautiful northwestern Pennsylvania, Lisa has also chosen Warren to raise her son, making a home in the same house her father was born in. After working for a year and a half as sales team administrator for ERA Team VP’s Warren office, she decided to take the leap into real estate by becoming a licensed sales associate herself. 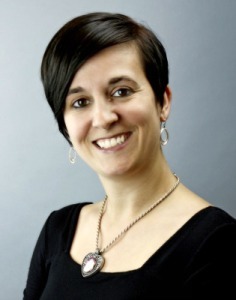 With the support of her “ERA family,” Lisa hopes to provide clients with a warm and professional experience. Lisa looks forward to serving the families of Warren County. 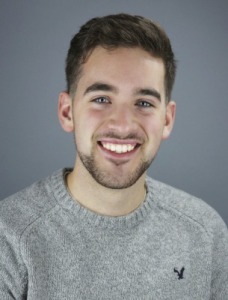 “I am thrilled to become part of the real estate community in Warren County and look forward to the learning process and personal growth that is sure to come,” said Burkhouse. “We are excited to welcome two new professionals to our team serving the Northwest Pennsylvania market,” said Bill Soffel, Broker/Owner. “Jean and Lisa are both great additions to the Warren office, and I am confident they will provide the best service possible to their customers. As part of ERA Team VP Real Estate the agents will be able to offer homebuyers and sellers a wide variety of innovative and market-relevant products and services such as the ERA® Sellers Security® Plan and the ERA® Gold Star Property program as well as robust online marketing programs, extensive listings distribution partners, and related services including the ERA Home Protection Plan. For more information about ERA Team VP Real Estate and the real estate market in the Northwestern Pennsylvania visit ERATeamVP.com or contact one of our Pennsylvania offices: (814) 726-3456 Warren; (814) 369-3994 Bradford. Call Jean Gorton directly at (908) 803-3794 or Lisa Burkhouse at (814) 779-1359. 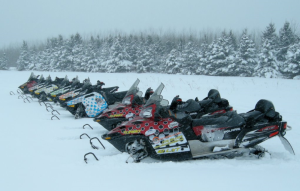 Also known as the Enchanted Mountains of Western New York, Cattaraugus County offers over 350 miles of snowmobile trails. Make sure to visit the 68 miles of well-groomed trails in scenic Allegany State Park, which is the largest State Park in New York, and the third largest State Park in the nation! Download a complete trail map here. Need a ride? Visit Chautauqua Lake Snowmobile Services to book a Polaris snowmobile rental or guided snowmobile tour. There’s no excuse to why you can’t be out enjoying the most scenic trails throughout Western New York this winter! Want the kid’s to join? Make sure to attend one of the two FREE State of New York Snowmobile Safety Courses offered this December. Once completed, youth riders ages 14-17 may operate their own snowmobile without adult supervision (without the safety training course an adult must be within 500ft of the child). Youth ages 10 through 13 may operate a snowmobile if they complete the snowmobile safety training course AND are accompanied by an adult. For information on the Little Valley Snowmobile Safety Course click here or for the course offered in Franklinville click here. Prefer to admire Ellicottville’s winterscape from a different mode of transportation? How about a horse drawn sleigh ride! Nestled in the foothills of the Allegheny Mountains is the Crosspatch Horse Ranch. This family owned and operated working horse ranch offers sleigh rides, for up to 6 people, all winter long. Want to take control of the reins? 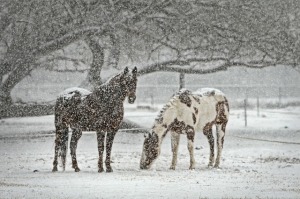 Schedule a winter trail ride for the family! They will gear you up, match you with a horse that suits your abilities and lead you through the trails for a day of horse-filled fun. Have your own horse? Crosspatch welcomes you to join them on any of their special rides and events! Make sure to give them a call at (716) 938-6313 or visit TheCrossPatch.com. 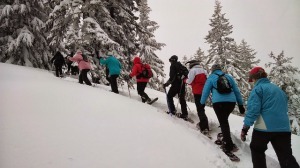 For an enjoyable change of pace, explore Ellicottville’s countryside with snowshoes or cross country skis! Daily cross country ski, snowshoe and helmet rentals are available at Mud, Sweat N’ Gears, Dekdebruns or Holiday Valley’s Rental Shop. For terrain, choose from the Art Roscoe area of Allegany State Park, Holiday Valley or Griffis Sculpture Park. Holiday Valley also sells a cross country ticket for $15 to take you up to the top of Holiday Valley, from there you can ski the 3 miles from Cindy’s all the way to Spruce Lake. The Art Roscoe area is noted as one of the finest double-track trail systems in the Northeastern United States. The 20 miles of well-designed trail network offers free beginner and intermediate trails throughout the forest. Scenic vistas around the trail offer an exceptional skiing experience and beautiful panoramic views. Griffis Sculpture Park provides a unique experience as you snowshoe between the steel outdoor sculptures of Larry Griffis, Jr and other international artists. The 450 acre Ashford Hollow park features over 250 large scale sculptures dispersed throughout miles of hiking trails. Not a skier? Visit Holiday Valley’s tubing hill that proves to be fun for all ages. No experience necessary: just sit down, hang on and experience the thrilling exhilaration of pure winter fun! 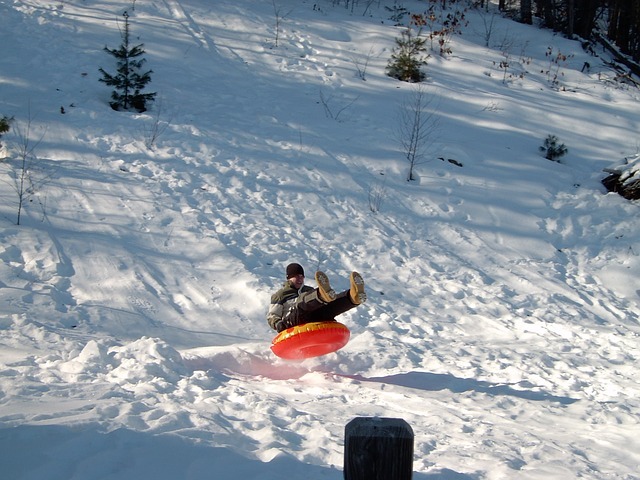 Don’t worry about wearing yourself out from walking back up the hill, just grab a hold of one of the handle tows to ride the tube right back up to the top! The Tubing Area is 4 miles from Holiday Valley, but take advantage of the FREE shuttle service that picks up and drops off at the Resort Services Center turn around. There is a minimum age/height requirement of 7 years old and 42” tall; however, the little ones are welcome to join in on the fun at the “Little Tubers” hill, weather permitting. Looking to pick up the speed? Hop on the Sky Flyer Mountain Coaster near Holiday Valley’s Tannenbaum Lodge and get ready for a fun twisty-turney ride down the mountain through the trees! The coaster is similar to a roller coaster, but being closer to the ground, it follows the contours of the snow covered terrain by zig zagging down the mountain. Choose to ride alone or with a friend, and control your speed by levels located on the side of the car. The Mountain Coaster opens December 19th, and riders must be at least 3 years old and 38 inches tall to ride with an adult or 8 years and 54 inches tall to ride alone. For more information or to purchase your pass visit Holiday Valley’s website. Give us a call at 716-699-4800 to speak with a seasoned reservationist about booking your own private vacation home rental so that you can fully experience all of the outdoor winter activities that Ellicottville has to offer! Congratulations to the October First In Service Award winner, Ruth Nelson! Ruth specializes in the Chautauqua Institution​ market and won this month’s award with her outstanding customer service provided to her client, Joanne W.